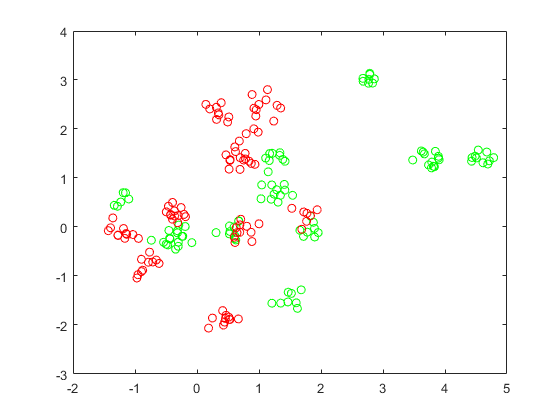 After generating 100 green and 100 red points, classify them using fitcsvm. 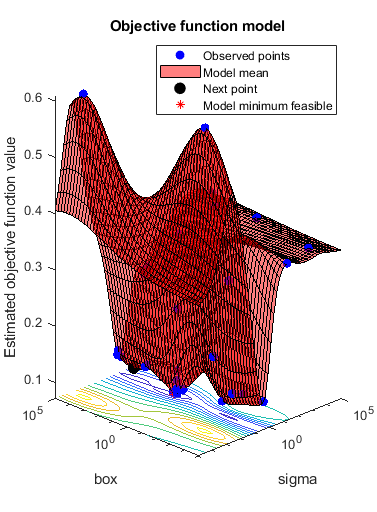 Then use bayesopt to optimize the parameters of the resulting SVM model with respect to cross validation. Set up a function that takes an input z = [rbf_sigma,boxconstraint] and returns the cross-validation loss value of z. Take the components of z as positive, log-transformed variables between 1e-5 and 1e5. Choose a wide range, because you don't know which values are likely to be good. This function handle computes the cross-validation loss at parameters [sigma,box]. For details, see kfoldLoss. 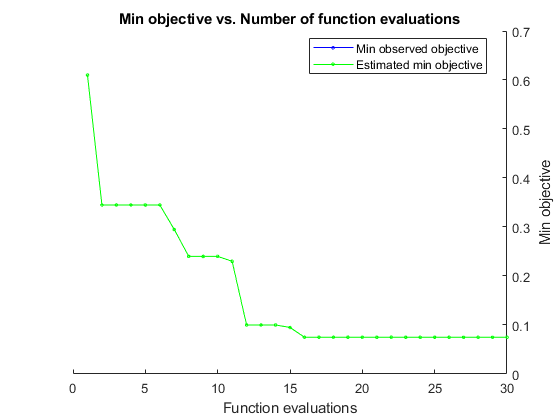 bayesopt passes the variable z to the objective function as a one-row table. Search for the best parameters [sigma,box] using bayesopt. For reproducibility, choose the 'expected-improvement-plus' acquisition function. The default acquisition function depends on run time, and so can give varying results. Total elapsed time: 46.3765 seconds. 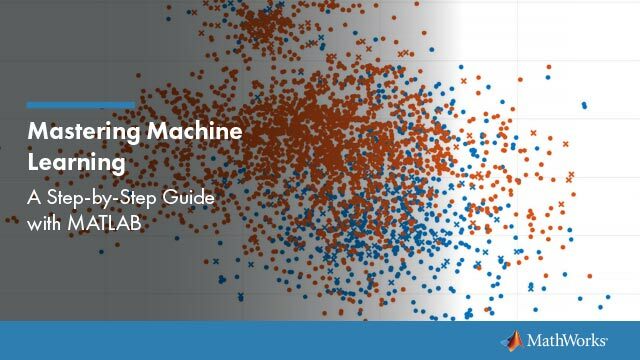 Use the results to train a new, optimized SVM classifier. Plot the classification boundaries. 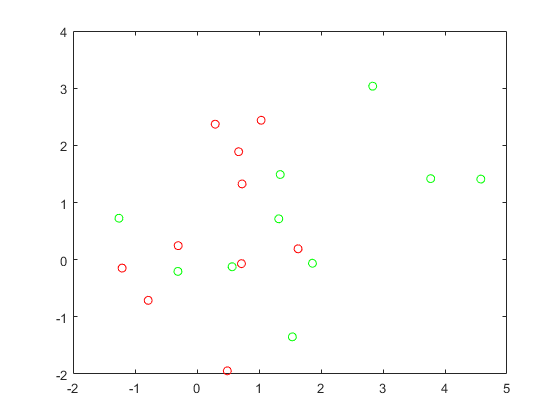 To visualize the support vector classifier, predict scores over a grid. Generate and classify some new data points. See which new data points are correctly classified. Circle the correctly classified points in red, and the incorrectly classified points in black.